Google’s third-party iOS keyboard, Gboard, now supports Google Translate. 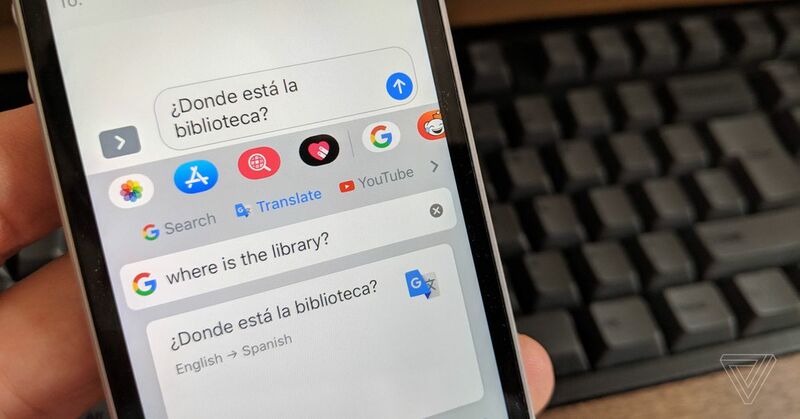 The feature has been available in the Android version of the keyboard since 2017, and can be accessed either by tapping on the Google Translate icon in the suggestion bar, or via the Google button. The update’s patch notes say that “all the languages supported by Google Translate” are available, which at the time of writing includes 103 languages. You can either select between these languages manually, or have the software attempt to detect it automatically. Gboard’s last major iOS update added haptic feedback for the keyboard; another feature that’s not available with the built-in iOS keyboard. Meanwhile, its Android version was recently updated with support for better offline voice dictation, although the feature is currently only available for English-speaking Pixel owners.